For this once in a lifetime special occasion which every detail has been precisely selected and carefully planned, you absolutely must not settle when it’s time to choose a floral designer. 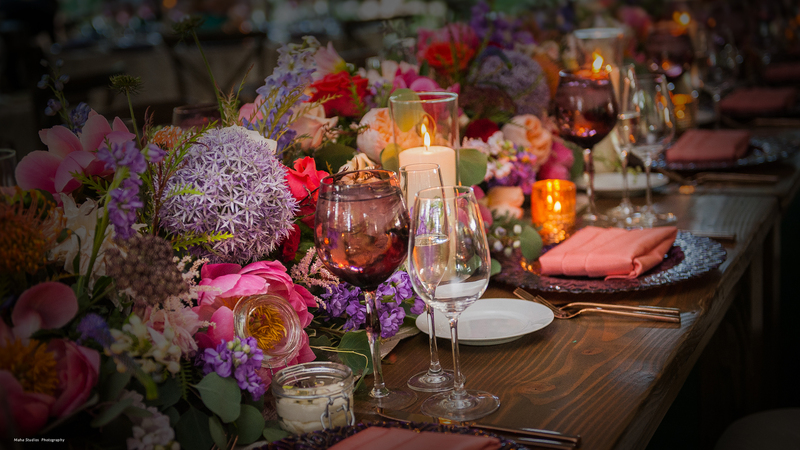 Whether your budget is $3,000 or $30,000, you still deserve your dream floral experience. Choose Avant Gardenia now, when it truly matters. Everything is created just for you with a level of unmatched originality, tailored to your personality, inspirations, and style. We envision the groupings of flowers and hues of colors coming together with an uncanny level of character and class. We are consumed with creating breathtaking settings to exceed your highest expectations. Events like yours are our sole focus. In order to further enhance your floral designs, you may choose from a variety of ridiculously chic décor items rented through Avant Gardenia. Some options include: a variety of glass candleholders; mercury glass candleholders; mercury glass vases and votives; bling candelabras and bling votive cups; decorative pillar candles; a variety of large glass vases; many types of branches; chuppahs…. and, and, and. We also enjoy helping you choose fabulous linen and napkins that will be the perfect match for your floral designs and create an incredible, cohesive overall look. Your flowers and foliage are always awake and fresh because our workspace includes a massive cooler to keep every single design looking its very best. Don’t be fooled; this seemingly obvious detail is not always a given! You are calm. You are confident that everything will look stunning, and you and your entire family are able to focus on enjoying every moment. We will personally deliver your bouquet and meticulously showcase all of your designs. While you are basking in wedded bliss, we will retrieve all the memorable décor items you rented though Avant Gardenia. For Weddings: Our custom, full-service floral experience begins at $2500 for those taking place in the peak months of May-October. Minimum may vary during off-peak months. We now offer a partial-service package called “The Essentials” for May-October wedding budgets $2500 and less; please inquire. Corporate and social events, including showers, please inquire.